• Providing helpful solutions to problems that exist. As a follower of Jesus Christ, I believe there is such a manual for life and it’s called the Bible. 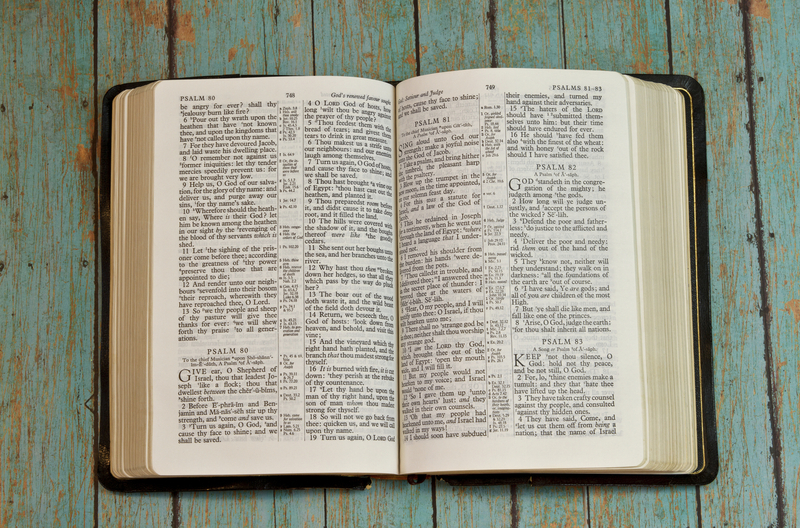 The Bible is God’s Word to us and gives a picture of who God is and how life works. The Bible is totally true and trustworthy. And although I don’t like everything I read in it, when I try to live my life according to God’s word, things do go much better than when I try to do it my way. As the author and creator of Life, God has given us the operating manual to live life according to his ways. Over the years, as I have attempted to read, study and meditate on God’s word and align my thoughts and actions according to His word, there are seven verses from the New Testament that have had a profound impact on my thoughts, actions and overall success in life. Jesus told a group of religious leaders that the two greatest commands are for us to love God and love other people. Philippians 2:3-4 provides practical action to take to express love to others, looking to their interest. This is a great reminder that as I go about my day and my agenda, I need to be on the lookout for the other people around and what they are trying to do. It’s easy to be selfish and focused on my interest, but I actually have to be intentional when it comes to interest of others. Key Question: Will I look out for the good of others and the group at large or be selfish and stay locked on to my agenda? Life is best lived in community with others, not in isolation. In order to have true friendships, I must be willing to let people in and know me. To keep everyone at an arm’s length only makes for a lonely life. I don’t need to tell everyone my deepest, darkest secrets; instead, I need to need to use discretion. At all times the person being presented on the outside (what others can see and interact with) must reasonable match the person on the inside (my thoughts, feelings and what’s really going on). It’s also vitally important to have at least one “ask me anything” friend or mentor; a trusted person who can ask hard and uncomfortable questions in any area if need be. Key Question: Am I willing to be honest and known? As I previously mentioned, the Bible is God’s operating manual for life. In it, He has given us some boundaries to operate within. When we step outside those boundaries, we are heading for trouble. Sometimes we unintentionally step out because we don’t know or understand the boundary is there and it takes someone being willing to speak up and let us know of the boundary to get back on track. However, sometimes we know about the boundary, but what we want is outside of the boundary and we go for it anyway. The Bible calls that rebellion—which is sin. In those instances, it also takes someone who knows the truth and cares enough about us to speak up and remind us of the boundary line we have just crossed. This verse means that sometimes I need to be corrected for a boundary violation and sometimes I need to speak up and lovingly correct a friend. Key Question: Am I willing to honestly dialogue about boundary violations I see and be open to possibly blind spots in my own life that I cannot see? The Apostle Paul, in his letter to the Romans says that if possible, live at peace with everyone. As followers of Christ, we are to be peace makers and live at peace if possible. In Matthew 5:26-24, Jesus is telling us that it’s our responsibility to keep clear relationships. When I know of (or suspect) I have sinned against someone else, it’s my responsibility to go to that person and seek forgiveness (and pay any necessary restitution). In other words, when I mess up, I need to clean up. I first read this verse and application in the fall of 1998 and since then have experienced the wonderful benefit in my personal, professional and family relationships that comes from seeking forgiveness. Key Question: Will I humble myself to make things right with others? There is so much more that could be said about these first four verses and impact they have had on my life over the years. It seems as if I’m never without an opportunity to apply them to new levels. My next post, I’ll share the last three of the seven verses.